If you have read the bio then you will see that in addition to being the authors of this blog we also work at Tyremen in Hull. Tyremen are very much into the supply of winter tyres and as we have always been alloy wheel importers, these two elements have married together perfectly. 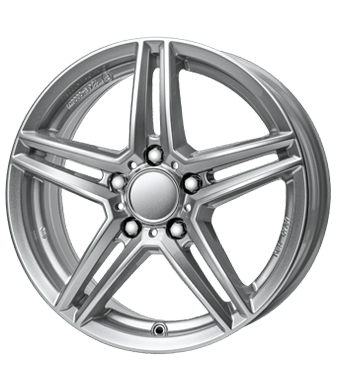 Of course we do sell nationally through the Tyremen website, but we just wanted to take a moment to talk about our local alloy supply for the fine residents of Hull & surrounding areas. In all honesty during the last few winters we have been so busy sending alloy (& now steel) wheels all over the UK that we have taken our eye off the local area. As a result of this Google’s 1st page on wheel related searches in Hull is displaying retailers that are not based in the town or companies that may have sold wheels many years ago but are no longer involved in this activity. When it comes to alloy wheels in Hull there is no doubt that Tyremen are the only independent retailer. If you are lucky enough to call this, 2017 City of Culture, your home then you are also lucky in that, Yorkshire’s largest wheel stockist is on your doorstep. As mentioned we have been involved in alloys for many years, we are currently the UK sole importers for Alutec, Anzio, CMS & Oxxo alloy wheels. In recent years we have also started bringing in steel wheels for our winter packages and offer the Kronprinz range, who are part of Europe’s largest steel wheel manufacturer. All of these products are imported from Germany and have been carefully selected because of their price, quality and style. We sell wheels all year round, but are heavily into winter wheel and tyre packages and are one of the Country’s biggest supplier of such packages. All of the alloy wheels that we use as part of our winter range have 5 year guarantees and are TUV approved. TUV approval is a European testing process which ensures wheel suitability for a particular vehicle, eliminating any warranty/insurance concerns. Because we are the importer of our house brands we can guarantee the best price for our customers in Hull & nationally. Even when compared to online prices we can always be competitive as the internet boys have to buy from people like ourselves as they are not bringing the wheels in themselves. Did we miss anything? We’re not sure but if you have any wheel related questions don’t hesitate in getting in touch with our friendly and experienced team who will be happy to assist.